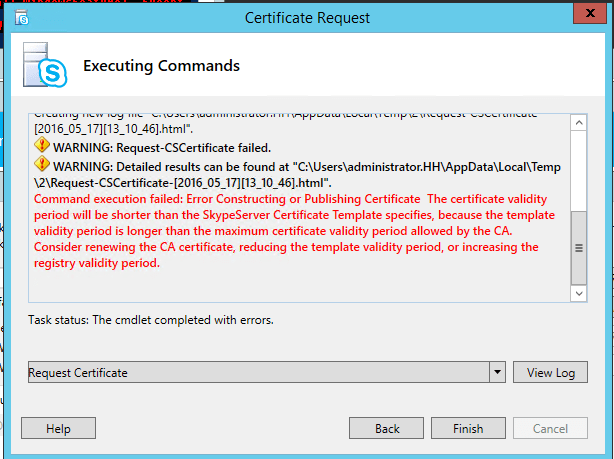 Command execution failed: Error Constructing or Publishing Certificate. The certificate validity period will be shorter than the “template name” certificate template specifies, because the template validity period is longer than the maximum certificate validity period allowed by the CA. Consider renewing the CA Certificate, reducing the template validity period, or increasing the registry validity period. The problem is down to a configuration issue with the certificate authority used for the request. I decided to perform some due diligence checking against what was currently configured. First checking the certificate template used, I could establish that the validity period of the template was 3 years. By default, the registry validity period is set to two years. 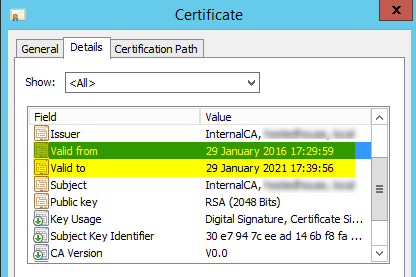 As we can see, there is a discrepancy in the certificate template specifying a 3 year validity period, whilst the registry on the CA server has set a maximum of 2 years. The restart the certificate authority services for the changes to take effect. If you are not confortable with the registry editor method, you can alternatively use CERTUTIL to achieve this. Again, restart the certificate authority service for these changes to take effect. 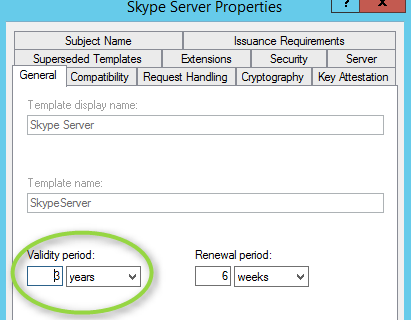 Once changed you will be able to request your Skype for Business certificates once more.